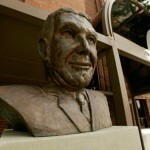 A gift from John Seal ’70, his daughter Courtney '09 and the Class of 2009, this sculpture between gates 2 and 3 honors Tony Hinkle. 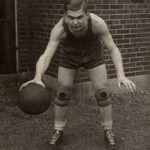 By virtue of living 92 years and being a diehard Bulldogs fan, Herb Schwomeyer spent more time in Hinkle Fieldhouse than most folks. 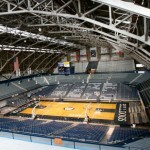 Multi-year sponsorship allows Hinkle Fieldhouse court presence. The paths students take from the classroom to the work world are usually as varied as the individuals themselves.